Practitioners of the Arts are vital to the economy of Araevis and are also of paramount importance to adventurers and explorers who need the best equipment to survive in the hostile, untamed areas of the world. 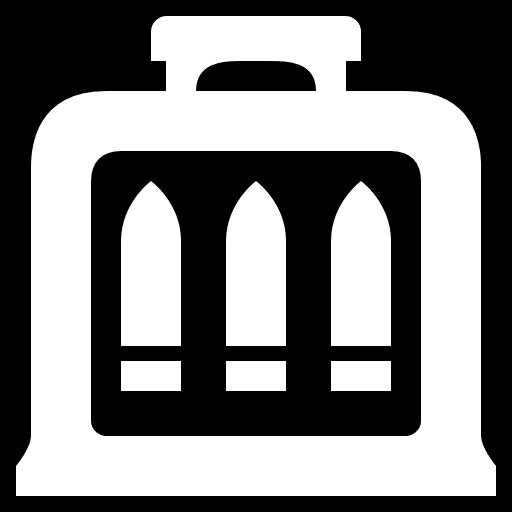 Beyond cities, it can be quite advantageous to have skilled craftsmen around for unique needs, as well. The greatest among them are able to create astounding works, things with far-reaching and lasting relevance in the world. Generally, it's necessary to devote a chapter to creating significant works, while mundane creations can be made with little fuss. Any item that has abilities requires Terra Regia of an appropriate grade and at least one chapter devoted to its creation. Certain special projects (like airships) will have additional stipulations attached. "Destruction became art, war became tangible. We were gifted renewal and made metal of it." Practitioners of the Art of Aedificare are able to utilize a variety of materials -- metal, stone, wood, or others -- to create weapons and armor. They can utilize their skills for people, their pets, or even mounts and vehicles. Given the proper creative spark, a blacksmith can create all sorts of armaments, from the mundane yet functional to the exotic and unusual. Working with each grade of Terra Regia requires the requisite skill in Aedificare. Weapons and armor crafted from mundane materials carry no special abilities or durability, but also incur no noticeable cost on the crafter. "Beasts belch such poisonous mire, and we took inspiration. We became beast, and so our breath is as steel and fire." Practitioners of the Art of Terriculum are the experts of projectile and combustible weaponry. It requires comfort and familiarity combining metalwork with dangerously volatile chemicals. It's not uncommon for Gunsmiths to be covered in burn scars. They are capable of crafting guns, bombs, and related gear, augmenting them with Terra Regia as required for the extra boost. Working with each grade of Terra Regia requires the requisite skill in Terriculum. Weapons crafted from mundane materials carry no special abilities or durability, but also incur no noticeable cost on the crafter. "Veritas took of the drink, and his pallor suddenly brightened. Throwing off his sheets, he asked only to be able to open his windows, that he might see the sun again." A combination of pharmacology and mystical doctrine, the Art of Alchemia is the distillation of magical forces into a potent liquid form. Combining natural ingredients with Terra Regia in the right quantities and concentrations can evoke effects similar to, or identical to, those cast by students of the Arcane Schools. Stemming from medical doctrine as it does, Alchemia follows a similar philosophy of "Do no harm," and therefore the study only encompasses effects which benefit the imbiber. Creating potions of harmful effects is considered a taboo practice. Working with each grade of Terra Regia requires the requisite skill in Alchemia. Drinking potions too quickly will negate the effects of earlier ones, so only one potion may be imbibed per round. "Such wonders we weave! Such powers we possess! If such means we possess, is it not heresy to see them idle?" The Art of Cantatus was initially created out of a desire to create explosive projectiles, and in fact, was almost abandoned entirely when alternate (and more reliable) means of achieving this were created by Gunsmiths. However, with their decades of study at risk of becoming obsolete, the Enchanters branched out their studies, applying what they had learned into other related applications. As a result, the Art of Cantatus expanded and can now imbue the effects of spells from the Arcane Schools into weapons, armor, or the environment. Working with each grade of Terra Regia requires the requisite skill in Cantatus. Each imbued item has a limited number of uses per week. The items will recharge naturally at the start of each week, or an Enchanter can use Terra Regia to recharge the item immediately. "Machines bore fruit in the Demvir. Had we the sight to glimpse such wonder, we might've suffered less." One of the newest disciplines to grace Araevis, the Art of Ingeniarius deals with the manufacture of machines and mechanical devices. For some, mainly those who consider the Demvir to be divine creations, the Art of Ingeniarius is decried as blasphemy, but for most it represents the future and is welcomed with open arms. Those capable of learning the craft seem to be few and far between, but their creativity knows no bounds. Working with each grade of Terra Regia requires the requisite skill in Ingeniarius. 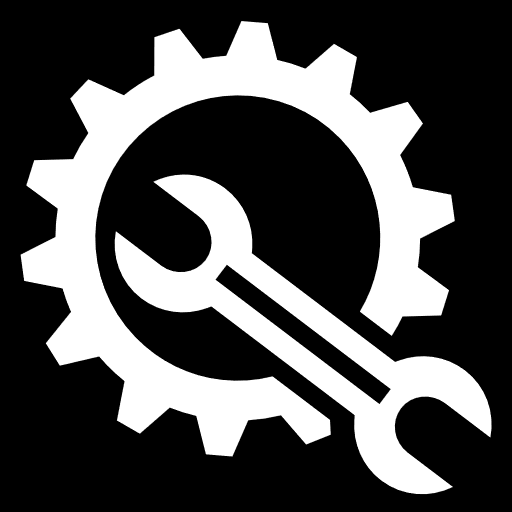 The Engineer can use most of their creations, aside from combat drones, but part of their appeal is the ability to make machines user-friendly enough for non-Engineers to utilize. This doesn't apply to aircraft, however: only an Engineer with the required expertise can hope to pilot aircraft without crashing. Every blacksmith starts with the basics: crafting weapons and armor from mundane substances such as metal, wood, and stone, until they can hone their craft to utilize more complicated and extraordinary materials: namely, Terra Regia. A blacksmith may forge a number of weapons per week determined by their prowess in Aedificare. 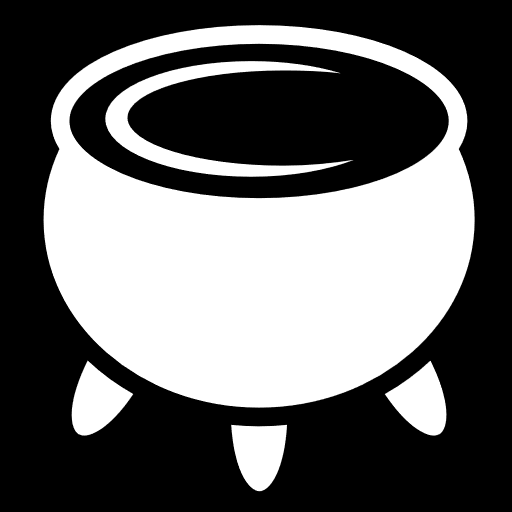 Crafting objects with Terra Regia requires a chapter or collab of at least 1000 words to create. The grade of the Terra Regia used determines the effectiveness of the produced item: each grade adding a single additional tier of damage for the wielder when faced against other attacks. Starting at Dahlitium, granting a single additional tier, and ending at Caelitium, granting five additional tiers. Once a blacksmith has gained some familiarity with their materials and tools, they can begin the work of learning mechanical interlocking. Not to be confused with machinery created by engineers, mechanical arms and armor are collapsible, concealable, or combinable. 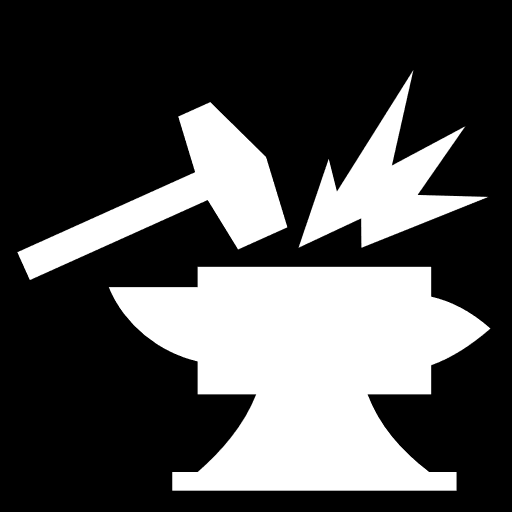 At this level, a blacksmith is talented enough to combine multiple weapons, if desired, but each weapon requires the full crafting time and materials as if they were made separately. The blacksmith works with all the materials at their disposal, from wood and leather, even stone, to ferrous metals and eventually, Terra Regia. Skilled blacksmiths have learned to focus under pressure and in the chaos of the moment. While out of combat, a blacksmith can make field repairs to damaged arms and armor. Such repairs take at least two rounds of focus. These repaired items will continue to work at full effectiveness through the end of the current writing piece (unless broken again), but require a full repair (requiring one Forging for that week) to be permanently repaired. Master blacksmiths create weapons beyond compare, sought after by all. Great warriors, clerics, even kings hope to wield weapons and don armor forged with a level of skill that sets them apart from all others. Such mastery requires only the best of the best in materials, however, forcing the blacksmith to discard otherwise serviceable material in the pursuit of the exceptional. Masterwork forging requires twice the usual amount of materials. A masterwork weapon is enhanced by one additional tier of magnitude over its material grade. A masterwork armor can reduce incoming attacks by one additional tier of magnitude over its material grade. Normal arms and armor can be enhanced to masterwork, but do require the additional materials cost. For example, a vitatium sword (which was previously crafted with 5x vitatium) would require an additional 5x vitatium to upgrade to masterwork. For truly legendary smiths, fire is in their blood, steel in their arms. The sweat and blood and passion that goes into everything they make has become internalized, as much a part of their lives as breathing, as vital to their life as eating. It is said that in the right circumstances, such a blacksmith no longer needs the forge itself; they can shape metal with sheer focus, enduring the full ordeal of forging and hammering and sharpening in the workshop of their own mind. Once per week, a grandmaster blacksmith can perform a single forging (weapon, armor, or repair), instantly and spontaneously, as long as they possess the necessary materials. This costs 20% of the blacksmith's maximum vigor. The fine art of crafting a firearm or missile weapons is perhaps the most important skill for an aspiring smithy to learn before moving to even more advanced projects. Though a beginner may start out by utilizing less dangerous metals or stone, every gunsmith would testify that true wonders of the craft are born with the use of Terra Regia. A gunsmith may craft a number of weapons per week determined by their prowess in Terriculum. Crafting objects with Terra Regia requires a chapter or collab of at least 1000 words to create. Moving beyond personal projectile weapons, an adept Gunsmith's next logical step is learning larger weapons, siege engines, and artillery. This also gives the Gunsmith an eye to spotting weaknesses where their big guns can take advantage... or where others could take advantage of them. A Gunsmith is thus well-equipped to build barricades and bivouacs, as needed, to protect their location. While such fortifications don't provide full protection, they do make it harder for enemies to attack. Fortifying a position to protect a 10m radius takes at least two rounds. Spending additional rounds fortifying will increase the overall protected area by a 5m radius per round, to a maximum of a 25m radius, and the durability of the defenses by two tiers, to a maximum of 10 tiers after 5 rounds. Enemy attacks past the fortified position are reduced in effectiveness by two tiers in magnitude, while attacks that strike the fortification will reduce its durability. Fortifying a position does not count against crafts per week. With great power comes lengthy preparation and set-up time. Siege weaponry and artillery are potent forces but they need to be prepared in advance, or even built on location, over hours or days. When you have a skilled gunsmith on-hand, though, they can assemble such devices almost supernaturally fast, with an innate knowledge of where every piece needs to go. As long as all the pieces are available, the gunsmith is able to set up and deploy most heavy weaponry within three rounds. Extra-large siege weapons, such as trebuchets, can take up to five rounds. Mastery comes only after putting together dozens or even hundreds of weapons, creating thousands of rounds of ammunition, and firing countless test shots. In order to better utilize a solidly crafted firearm or missile weapon, one must pay attention to the ammunition in use. Master gunsmiths are capable of augmenting weapons to fire specially tuned ammunition designed to pierce armor and obstructions. Penetrating weapons require twice the usual amount of materials. 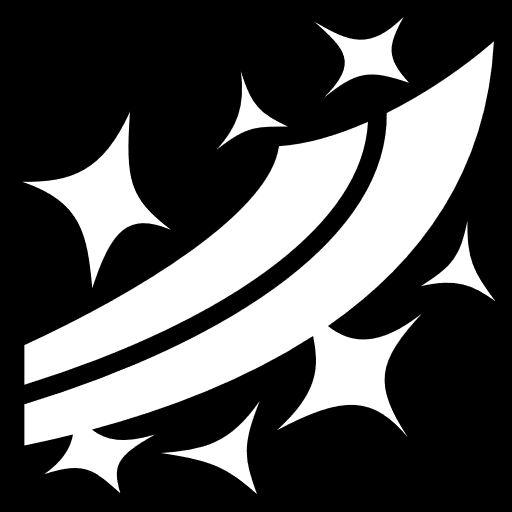 A penetrating weapon reduces target defenses by two tiers of magnitude. If the enemy has little or no defense, the penetration is not added to damage instead. Normal firearms, missile weapons, and siege weapons can be enhanced to penetrating, but do require the additional materials cost. For example, a vitatium rifle (which was previously crafted with 5x vitatium) would require an additional 5x vitatium to upgrade to penetrating. For the legendary gunsmith, it's not enough to create the greatest weapons. It's necessary to get them to where they are needed, by whatever means necessary. Such a gunsmith is capable of crafting, or improvising, a mobile platform to carry archers and gunners or load his own weaponry onto. Carried on sturdy treads, the platform can be pushed manually or fitted with a motor if engineering is an option. The gunsmith can Fortify Position upon this moving platform and deploy any siege weapons that will fit. A legendary gunsmith thus doesn't just support the forward line, they push it forward, to the sound of bowstrings and cannon fire. At its core, the art of Alchemia is the art of transmuting simple elements into something more valuable. It's a demanding skill, requiring understanding both the nature of the material components but also the energies that are being harnessed through using them as reagents. Alchemy begins with the study of salves, utilizing raw ingredients that can be applied topically. Chemical knowledge makes alchemists suited for creating explosives, as well. Brewing potions, which can be imbibed, is a higher order ability that requires Terra Regia to catalyze. Potions can be created for any school the alchemist is at least a novice in, up to their skill in alchemy. Once distilled into a potion, the spell will remain dormant for as long as the potion bottle is sealed away. Upon opening, the spell must be imbibed immediately to avoid wasting it. An alchemist may perform a number of transmutations per week determined by their prowess in Alchemia. All potions require at least some Terra Regia, and a batch of potions requires a chapter or collab of at least 1000 words to create, though a batch of salves does not. A golem is a figure made from inanimate materials that becomes animated through the power of alchemy. The golem itself can be made from materials as simple as clay or mud, but can also be formed from sturdier materials like steel or even Terra Regia. Golems cannot truly think but instead follow simple, clear instructions given upon their creation. These instructions are engraved into a metal core that serves as the golem's heart. When filled with a special animating fluid, the core will bring the golem to life, and it will follow its commands until it is destroyed or the heart removed. The creator could give a golem simple commands such as, "If anyone walks through this door, ask for the password," and "Block anyone who does not answer with the password 'Rumpelstiltskin.'" A golem always recognizes its creator and will not harm them, and if held back by their commands, they will not fight. Otherwise, they will defend themselves if attacked or challenged. Alchemists can assign one command to a golem per their tier of mastery in Alchemia, but commands cannot be changed after creation. The golem, its core, and animating fluid can all be made in advance, but will do nothing until all three are combined. An advanced application of Alchemia, scrying involves brewing a liquid medium, which can then be poured into any font -- a simple bowl will suffice, though more ornate fountains and basins are not uncommon -- to create a connection with another point in the physical world. Scrying is very temporary, unfortunately, but allows the user to view a location surrounding a target or area the Alchemist is familiar with. It is even possible to communicate with the target while it is active, though the target is unable to see the scryer. A connection will last for one round per grade of Terra Regia used, beginning at one round with Dahlitium and ending at five rounds with Caelitium. Once the connection ends, only water will be left in the font. The act of scrying is viewing what is happening in the present. As an alchemist begins to master their craft, however, they can evoke an even greater effect. As in scrying, the alchemist must create a liquid medium, this time using much rarer ingredients. While the solution for scrying comes out clear as glass, for divination, the medium is silver, mirror-like when still. It can only be held in a font of vitatium or caelitium. Divination allows the alchemist to ask a single question, and the answer is revealed in images or words in the surface of the mirror liquid. Once the answer is imparted, the medium will rapidly boil away, the intense heat destroying the font it is held in. Using a concoction created from vitatium, held in a vitatium font, the user may ask a question about the past, about what has already transpired. Using a concoction created from caelitium, held in a caelitium font, the user may ask a question about the future, about what may be. Because the future is fluid, actions taken after the divination have potential to change the given future. There exist stories of a legendary alchemist in ages long past, before the Cataclysm. The tales say that this paragon of the craft transcended the limits of mortal men. Transmutation allows an alchemist to turn materials into something more valuable, it allows one to touch upon the arcane and recreate great magicks, it allows ones senses to travel vast distance, and even allows a glimpse into possible futures. The alchemist of legend, it is said, took this further still, transmuting fate itself. A grandmaster alchemist is capable of creating a highly potent, concentrated gel from caelitium volantis, which crystallizes rapidly after creation. To use it requires a vitatium divination font. The alchemist drops the crystal into the center of the divining font. Immediately, a cloud of steam will rush up, streaks of blue and green snaking about to form an image of an event in the forefront alchemist's mind, no more than one day in the past. Before the crystal and the font dissolve away completely, the alchemist can effect a single change to the event, even to the point of preventing a death... or ensuring one. The beneficiary of this reversal of fate, or the alchemist in the absence of one, suffers a 10% loss of total Vigor. No more than one Philosopher's Stone can be possessed at one time. An art nearly as old as the schools of magic it is derived from, the art of Cantatus is valued highly for being a devastating surprise to one’s opponents. However, its demanding and exact nature requires an aspiring Enchanter to have the utmost of patience and attention to detail. In these acquired skills, it’s not hard to find analytic minds amongst their ranks. An Enchanter deals primarily with two forms of enchantment: amplification and infusion. Amplification involves directly increasing an item's natural properties, improving damage potential or defensive power by one tier. Infusion, meanwhile, is unfortunately tied to the schools of magic, requiring talent in spellcasting to harness raw visae before being capable of imparting it to other objects. An enchanter may weave a number of enchantments per week determined by their prowess in Cantatus. While powerful, such enchantments are transient, and their power is unleashed upon contact with another object or person. Each enchantment is given a finite number of ‘charges’ to allow multiples uses of the same enchantment, with the infused spell requiring one charge per tier of the spell. All infusions requires some grade of Terra Regia Pulveris. Starting at Dahlitium, an enchantment is given two charges before fading. This increases by two per grade of Pulveris, ending at ten with use of Caelitium. The first time an item is enchanted, it has full charges based on the Terra Regia used. An Enchanter may also recharge the item, using the same grade of Terra Regia Pulveris as the original enchantment. At times, enchanting is not done to empower the wielder, but rather to protect an item or area, perhaps a precious chest, from unwelcome hands. Such forceful means of protection have been used for centuries and even before the Cataclysm -- archeologists must often be careful of setting off ancient traps that remain active into the modern age. While it's theorized that the enchantment may grow less stable with time, it will easily outlast the one who originally enchanted it. The basic form of a trap is a simple explosion, hitting everything in the immediate vicinity except what it is placed upon. Enchanters with at least novice-level in a school of magic can infuse a basic spell into the trap instead. While a trap may lay dormant indefinitely, its power is limited by 'charges' similar to Enchant Items. All traps require some grade of Terra Regia Pulveris. Starting at Dahlitium, a trap is given two charges before fading. This increases by two per grade of Pulveris, ending at ten with use of Caelitium. Explosion traps hit for two tiers of damage, consuming two charges per detonation. Infused spells consume charges equal to the tier of the spell used. The first time a trap is enchanted, it has full charges based on the Terra Regia used. An Enchanter may also rearm the trap, using the same grade of Terra Regia Pulveris as the original enchantment. The Art of Cantatus revolves around the concept of manipulating visae into a semi-permanent form. Because of the nature of the work, enchantments are often either succeed or fail, with no middle ground. However, there is an area of study in enchanting where the incomplete form bears fruit: the creation of portals and gateways. The basic concept here is to build up a layer of visae which bridges the gap between two spaces on the physical plane (though some theories suggest that this is actually traversing an intermediate plane). This imperfect form of the ability creates a very temporary Portal to a location no more than 200m away. This can bypass most barriers or obstructions, but only remains stable for one round per grade of Terra Regia Pulveris used in its creation. While useful, this is only the first step toward mastering this branch of enchanting. While Create Portal provides a temporary pathway to a nearby location, a true master of the Art of Cantatus has learned how to bypass its limitations. Doing so requires intense study and the creation of a physical entrance in two distinct locations, but once completed, the Gateway is a permanent door between those two areas. The Enchanter must create two doorways using Vitatium Lateris. A number of intricate and archaic markings need to be inscribed into the surface of both doors; the design is entirely up to the Enchanter but both doorways must match exactly. After creation, the doors must be placed in the physical locations they are intended to be used -- which may require lengthy travel of a mundane sort. However, once both doorways are placed, the Enchanter can begin the final rituals, using Vitatium Pulveris to create a permanent link between the two locations. Once the Gateway is created, the doorways cannot be moved from their anchor point. It is possible to anchor one or both doorways to a moving vehicle, but it cannot be removed. The final catalyst for transportation is the Vigor of the user: each time someone steps through the Gateway, 10% of their max Vigor is used to facilitate the connection. The ultimate expression of Cantatus is something that has long been theorized but never accomplished. While Enchanters can cross the world of Araevis through the use of Portals and Gateways, no one has ever managed to bridge the gap between realms. Some of the greatest minds in the study believe it should theoretically be possible, however, to bypass the intermediary plane of Transmeatus -- known to be fatal to mortals -- and transport directly into another plane. Whether mortals can survive in a plane outside Mortalis remains to be discovered. A grandmaster enchanter will require at least one completed gateway arch to create a temporary bridge between planes. The enchanter must create a tome with 555 pages, filled by hand with lore of the world and the planes, each page individually enchanted to ward away corruption and draw in visae. With this book in hand, the grandmaster may approach the Gateway and channel an enchantment through the Tome of the Planes to open a bridge to a plane of the grandmaster's choosing. This bridge between worlds stays open only for five minutes, and incinerates 111 pages immediately. The enchanter can use the Tome of Planes at any time to reopen the bridge to return to Mortalis, but each time the bridge is created, it burns 111 pages, and care must be taken not to lose the book or burn all the pages without returning home. Oil and wiring are the tapestry the art of Ingeniarius paints upon. Dextrous and with a keen mind for blueprints, an Engineer’s most basic skill lies in their capability to construct basic machinery and maintain it. While the benefits of Terra Regia are not readily apparent to the uninitiated, the different physical properties of the rare materials carry certain benefits for an Engineer. Improving durability or tensile strength, thermal resistance or conductivity, Terra Regia allows for more complex and advanced machinery to be created. An engineer may construct a number of machines per week determined by their prowess in Ingeniarius. More simplistic machines may be constructed on the spot, such as winch and pulley systems or improvised engines. However, creating a comprehensive machine requires time, patience, and a proper workplace. Any attempt to create complex machine such as a drone or engine requires a chapter or collab of at least 1000 words. The grade of Terra Regia used determines how complex a machine can become, though there is no clear sliding scale. Working with each tier of Terra Regia requires skill of a comparable level in Ingeniarius. Considered by some to be born from admiration of the Demvir's internal workings, Cybernetic enhancement can be both a point of pride and a point of shame. The practice involves the complicated process of creating a machine meant to be attached to the body, with more complex enhancements linked in such a way that the user can control them as easily as their own limbs. Individuals may only have one cybernetic enhancement. These can be as simple as a replacement limb or conceal weapons or perform more complicated functions. While anyone can utilize a simple limb, more complicated enhancements require either the minimum skill in Ingeniarius to create the machine or a Unique Item slot. A good engineer will keep a variety of generic parts, devices, and tools on hand, suitable for building devices on the fly. You never know when you might need a lockbuster, a hole-drilling snake, or a rolling ball of bells and whistles. The engineer is capable now of creating a variety of improv components, and each set of components allows the engineer to put together one simple machine anywhere. Doing so takes one full round while out of combat, or two rounds if combat is actively happening nearby. The improv machines should be relatively simple, but can be used until the end of the week. These components are non-recoverable, however. There are many vehicles in the world of Araevis, from simple wooden carts to motorized cars, even ships and submarines. While many of these devices benefit or even require an Engineer's skilled hand to create and maintain, those rare and exceptional vehicles that soar through the air are too complex to trust in the hands of the untrained. Requiring knowledge and consideration of fuel, altitude, wind speed, air pressure, and a multitude of other factors, piloting airships outside of set transportation routes is the sole purview of master engineers. Visae, the natural yet mystical energy which fills the world, is used for everything from powering electronics to casting spells, giving life to golems and vitality to the demvir. It is omnipresent in the current society of Araevis, and even sustains otherworldly beings like familiars and daemons. And with the right devices, the greatest of engineers can manipulate the visae of others. A grandmaster of engineering can create a Contravisae Field Generator, which will disrupt visae within a 20m radius, preventing all magic, disabling all machines, and weakening any supernatural beings' defenses by three tiers of magnitude. The generator can only last for three rounds before burning itself out, however. In order to avoid being negatively impacted by his own device, the grandmaster can also create a Contravisae Field Dampener, granting protection in a 5m radius. The dampener similarly only lasts for three rounds. For three rounds, though, the engineer controls the flow of visae for everyone and everything around him.